This entry was posted on July 1, 2013 by Russell Smith. It was filed under Abstract, Memorial, Russell Smith and was tagged with hammer, Lewisburg, Pennsylvania, portrait, Russell Smith, self-portrait. Ha ha ha ha ha! 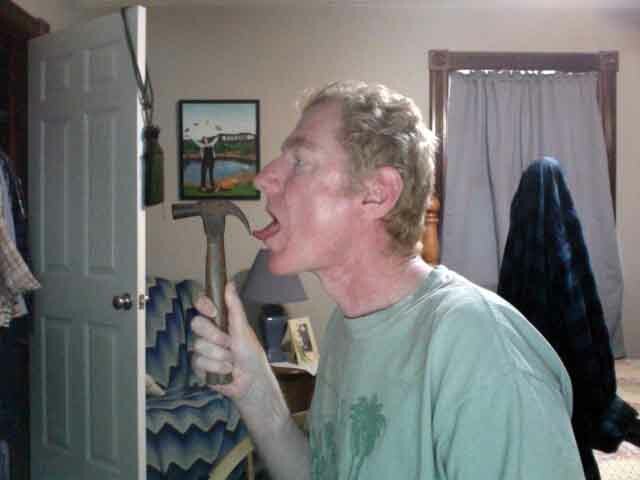 What are you doing to that hammer? I’m posing with it! It’s a spoof of a famous photograph of a circus freak hammering a nail up his nose! I think Arbus took it.